Rhythm and blues! 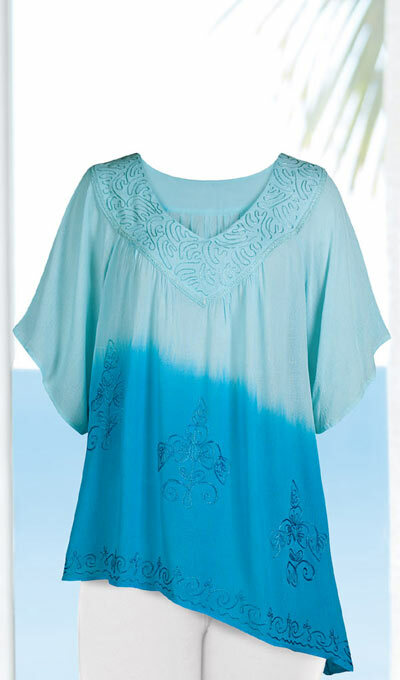 Shades of blue in a unique ombré pattern add richness to our chic tunic. An asymmetric hemline and raglan sleeves give it an easy-wear look while embroidery at the V-neckline makes it look very special. Woven rayon crepe. Machine wash. Imported. Misses, approx. 32"l.